Offering Boxes are located at the back of the sanctuary and in the vestibule off the sanctuary. In 25 years of ministry we've never taken an offering, but in faith we rely on goodness of the Lord and the obedience of His people to give! You can give by cash or check. Offering envelopes are also available. Checks and cash not marked for any specific fund will be allotted to the general giving fund. 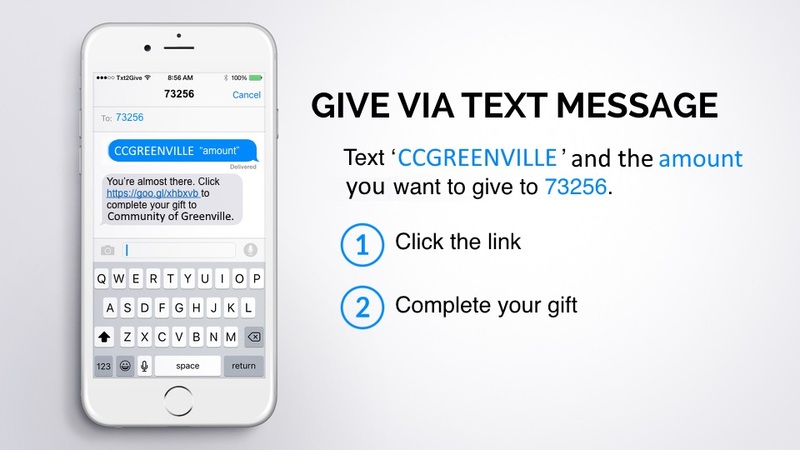 Mail or use your bank bill-pay service, checks can be mailed to: Community Chapel of Greenville, 1636 Bethel Road, Simpsonville, SC 29681. By using your bank's bill-pay service you can setup a recurring tithe! This method is the least expensive for the church. Starting August 1st - we will start transitioning away from EasyTithe to Realm eGiving. 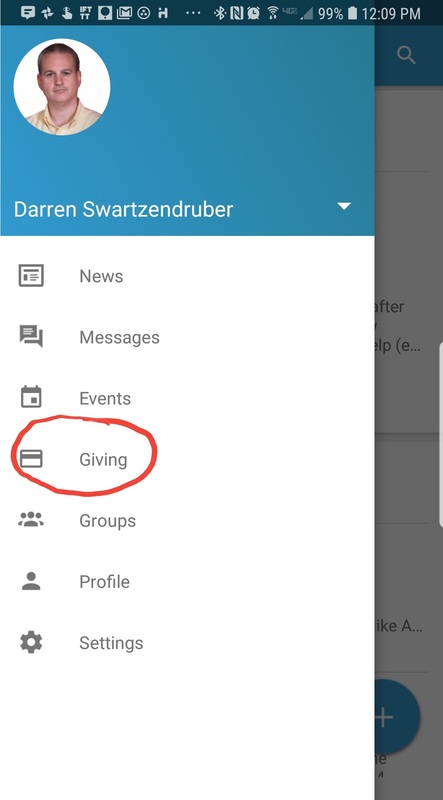 If you have scheduled giving set-up in EasyTithe, don't forget to login and turn those off! EasyTithe will be disabled September 1st. 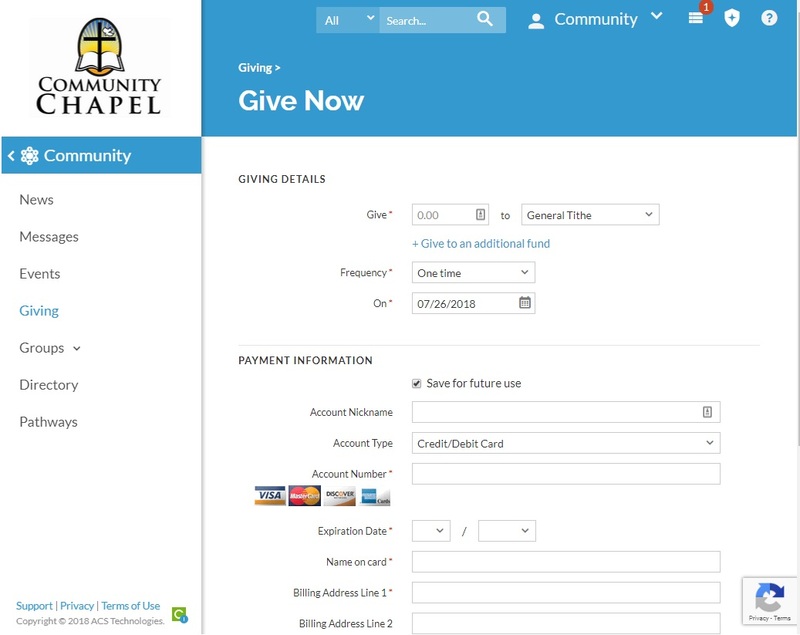 Online: you can give online via Realm eGiving - web / app / texting!